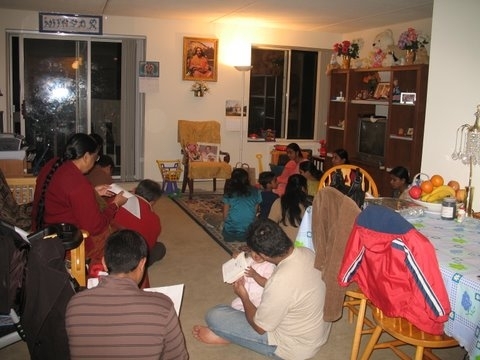 Following this, Smt Nithyaji narrated the story of Sri Badrachala Ramadas. 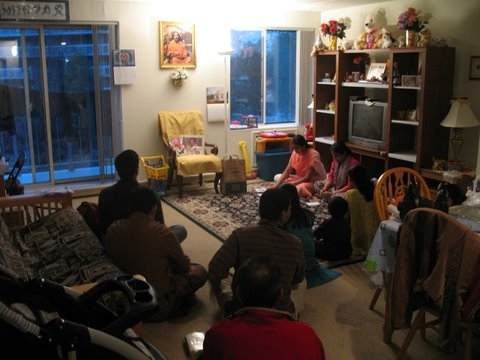 All the devotees were given a chance to share any incident/ story / sing any kirtan. 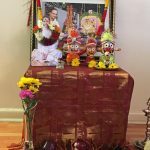 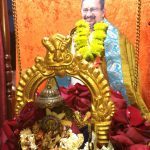 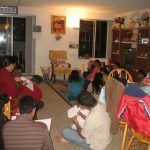 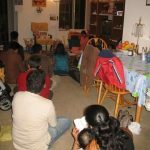 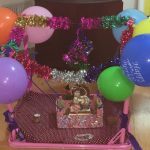 One of the devotees Sri Raghavan from Waltham, MA shared some incidents from the life of Sri Kanchi Maha Periyaval, Sri Kabirdas and Sri Bodendral that highlighted the effect of chanting Rama Nama. 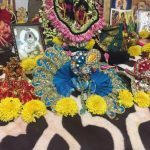 Smt Ranjani narrated an experience which proved that Guru’s grace would always be with His devotees and how it would protect them all along. 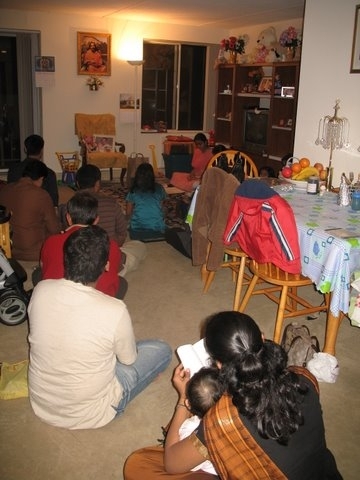 Mahamantra was then chanted for 10 min to complete the satsang. 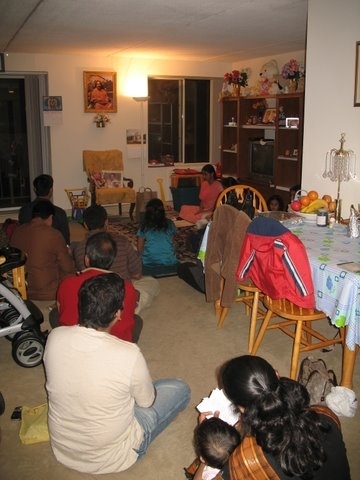 One of the female devotees sang bhajans during Harathi. 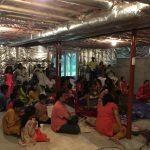 The satsang concluded with singing of mangalam. 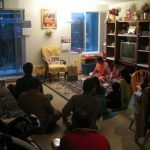 About 20 devotees including children, made it a memorable satsang by participating and receiving Sri Sri Swamijis grace on his date of birth.